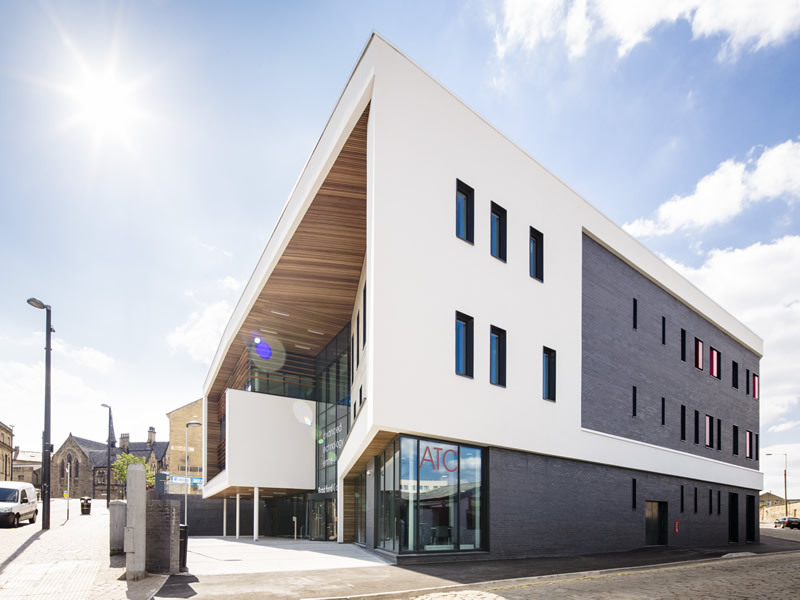 The project comprises of new Advanced Technology building adjacent to the main Bradford College campus on Great Horton Road. The works include the construction of workshops, offices, seminar rooms, exhibition accommodation and ancillary supporting facilities. The Advanced Technology Centre (ATC) has been designed to provide young people access to state-of-the-art technology to develop specialist skills needed to meet the needs of employers in the science, technology, engineering, arts and mathematics sectors.